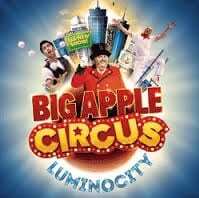 The Big Apple Circus hits Boston March 25, 2014 to May 11, 2014 and I have some ticket discounts to share with you! My favorite thing about the Big Apple Circus online ticketing site is the ability to put in multiple promo codes at once. I picked a date and then put in every promo code I could find and then selected the lowest price ticket. Not every promo code will work for every date or seat, but hopefully you will find one that will work for you. All the promo codes above were valid, and if you enter an invalid promo code, you will receive a message letting you know. I wish every website worked this well with promo codes! For more information about the Big Apple Circus, please head here (a video with sound will play) or here to look for tickets (no sound). Have fun if you do go! If you find any active promo codes that I don’t have on the list, please leave them in the comments! Save at the Big Apple Circus Boston 2013! The Big Apple Circus website has a spot on the right hand side of the ticket page for a promo code. There are a few codes that may work; however, certain codes may only work for certain shows and seats. (For instance, a promo code may not work at ringside, but may work for a different seat at the same performance). I played around with a few promo codes and found success with promo codes: RADIO, VALUE, BOSTON. Apparently promo codes DMS, BBOX, BBOX12 and EBSTB also work, but I didn’t have any luck finding discount tickets with them. The good thing about the Big Apple Circus ticket website is that you can enter all the codes at the same time, and will show what works, and what is the lowest rate available (as you can see from my screen above). However, keep in mind that these rates do not include any taxes and service charges. Third-party ticket sellers like Goldstar Boston offer discount tickets. Tickets on Goldstar range from $28-$37 per ticket with a $5-$6 service fee per ticket. Also, Bostix.org offer discount tickets starting at $22 + fees, which might be another good option. Update as of 4/29/13: Looks like TravelZoo also has discount tickets still available for $15 too. Since I am a savings rookie when it comes to buying tickets to the Circus, does anyone have any suggestions that I may have missed? Has anyone seen any discount coupons anywhere?